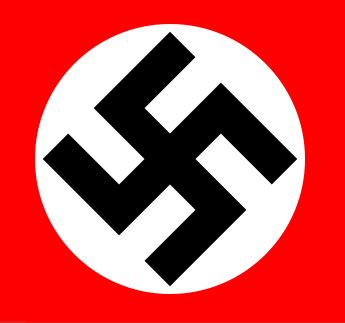 “We don’t have a situation of the extreme right in Europe attacking Jews because they are content to attack Muslims,” Philip Carmel, the international relations director for the Conference of European Rabbis, told Reuters. Darbellay has also proposed a ban on the Muslim burqa, or face veil, despite opposition from within his own party. 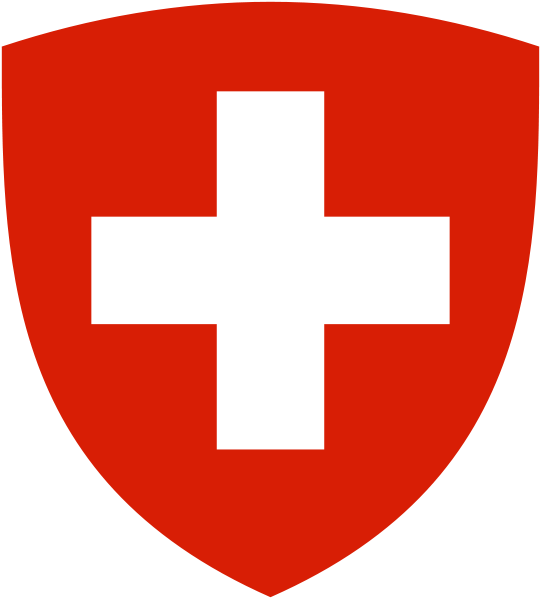 His comments are seen as a response to the rise of the populist Swiss People’s Party (SVP) which campaigned for the minaret ban. [JURIST] President of the Global Justice Center [advocacy website] Janet Benshoof said [press release] Thursday that judges who participated in the trials and convictions of 60 political activists[JURIST report] in Myanmar [BBC backgrounder; JURIST news archive] last week are co-conspirators of crimes against humanity and should be referred to the International Criminal Court(ICC) [official website]. justified a referral to the ICC. As a duly elected President of the United States of America, you are 101% sure to be inaugurated as the 44th US president on Jan 20, 2009. Contrary to your condition, our BURMA’S Daw Aung San Suu Kyi was elected as a winner in the election in 1990 but she is still under house arrest for nearly two decades. Please kindly help her release by declaring the SPDC Generals as Human Rights criminals and push for the International arrest warrant. Please read my following article, which could be used as a rough guide-line for the appropriate action to be taken for the prosecute the Myanmar generals. Democrat candidate Barack Obama has been elected as the United States first black president following his historic win over his Republican rival John McCain. Sorry, Mr David Rieff we disagree with you and I erased ‘From’ your heading. And I added the pharase, ‘that we are willing to accept’, at the end of your subheading. The decision by the government of Myanmar not to admit foreign humanitarian relief workers to help the victims of Cyclone Nargis has been met with fury, consternation and disbelief in much of the world. seems to be an act of sheer barbarism. adopted at the 2005 U.N. World Summit by 150 member states. not if it meant turning a blind eye to the dangers the cyclone’s survivors faced. These dangers, according to the British charity Oxfam, threatened an additional 1.5 million lives. And a number of European governments took the same line. British Foreign Secretary David Miliband stated that military action to ensure that the aid got to where it needed to go might be legal and necessary. And French Foreign Minister Bernard Kouchner echoed this argument, saying that France was considering bringing a resolution to the U.N. Security Council allowing for such steps to be taken. and an operational license that basically held that outside aid groups and governments had a presumptive right to intervene when governments abused their own people. At first glance, the arguments of Evans, Miliband, Kouchner and the leaders of many mainstream relief organizations may seem like common-sense humanism. How could it be morally acceptable to subordinate the rights of people in need to the prerogatives of national sovereignty? why should a national border — that relic of the increasingly unimportant state system — stand in the way of people dedicated to doing good for their fellow human beings? Why should the world stand by and allow an abusive government to continue to be derelict in its duties toward its own people? Surely, to oppose this sort of humanitarian entitlement is a failure of empathy and perhaps even an act of moral cowardice. This has been the master narrative of the aftermath of Cyclone Nargis. which has been imbued with an almost pornographic catastrophism in which aid agencies and journalists seem to be trying to outdo each other in the apocalyptic quality of their predictions. I hope that the author ended here. But we sadly see the communist/socialistic views of the author, who do not know the sufferings of Burmese citizens. We know about the SPDC than you! Unwelcome as the thought may be, reasonable-sounding suggestions made in the name of global solidarity and humanitarian compassion can sometimes be nothing of the sort. Aid is one thing. But aid at the point of a gun is taking the humanitarian enterprise to a place it should never go. And the fact that the calls for humanitarian war were ringing out within days of Cyclone Nargis is emblematic of how the interventionist impulse, no matter how well-intended, is extremely dangerous. The ease with which the rhetoric of rescue slips into the rhetoric of war is why invoking R2P should never be accepted simply as an effort to inject some humanity into an inhumane situation (the possibility of getting the facts wrong is another reason; that too has happened in the past). Yes, the impulse of the interveners may be entirely based on humanitarian and human rights concerns. But lest we forget, the motivations of 19th century European colonialism were also presented by supporters as being grounded in humanitarian concern. And this was not just hypocrisy. We must not be so politically correct as to deny the humanitarian dimension of imperialism. But we must also not be so historically deaf, dumb and blind as to convince ourselves that it was its principal dimension. Lastly, it is critically important to pay attention to just who is talking about military intervention on humanitarian grounds. Well, among others, it’s the foreign ministers of the two great 19th century colonial empires. And where exactly do they want to intervene — sorry, where do they want to live up to their responsibility to protect? Mostly in the very countries they used to rule. When a British or French minister proposes a U.N. resolution calling for a military intervention to make sure aid is properly delivered in the Lower 9th Ward of New Orleans, then, and only then, can we be sure we have put the specter of imperialism dressed up as humanitarianism behind us. In the meantime, buyer beware. Gordon Brown has accused Burma’s military regime of “inhuman” treatment of Cyclone Nargis survivors by blocking international aid. The official death toll of the cyclone disaster in Burma has risen to 78,000, as the country’s military regime continues block aid from reaching 2.5 million survivors. The new figure is nearly double the official estimate of 43,000 dead or missing given on Wednesday. The Prime Minister spoke shortly after France’s UN ambassador said Burma was on the verge of “committing a crime against humanity” by refusing to allow aid to be delivered. Jean-Maurice Ripert made the comment during a UN General Assembly session after Burma’s UN ambassador accused France of sending a warship to the region. France said the ship is carrying 1,500 tons of food and medicines for the survivors of Cyclone Nargis. Mr Brown called on the ruling junta to stop blocking foreign aid. ”This is inhuman. We have an intolerable situation, created by a natural disaster. According to state television, as of May 15 more than 55,000 people were missing and almost 20,000 have been injured in the worst disaster in the country’s history, which hit two weeks ago. Independent experts have said the actual number is probably far higher, with British officials saying the total dead and missing could be more than 200,000. The new death toll comes a day before the Burmese junta is due to lead foreign diplomats on a stage managed tour of the Irrawaddy Delta, the worst-hit area. The delta is closed to outsiders — not just foreign aid workers and journalists but also Burmese from elsewhere in the country – making it increasing difficult to gain an impression of conditions there. 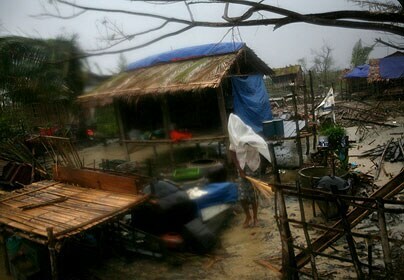 Torrential rain continued on Friday, compounding the misery of survivors. There are reports of disease, and accounts of hungry villages gathering along roadsides in the rain and mud, begging passing vehicles for food with clasped hands. Food and clean drinking water are practically unavailable in most places. Ramesh Shrestha, the head of Unicef in Rangoon who has local staff on the ground, said that in several places thousands of survivors are crammed together in temporary shelters without sanitation. His agency is digging trenches as temporary latrines, and gathering together orphaned children “who have been found wandering around”. Unaccompanied children are at risk of trafficking. Restrictions imposed by the junta mean such relief efforts remain localised. Only around 10 per cent of victims are believed to have received any aid at all. The European Union humanitarian aid commissioner, Louis Michel, on Friday became the latest in a long line of international grandees to visit Rangoon but gain no concessions. The junta again refused access for international aid workers. “They did not give any reason,” he said. Mr Michel was also denied access to the delta, but taken instead to a “rather perfect, organised camp” near Rangoon. State television reported that prime minister Thien Sein —number four in the military heirachy – claimed: “We have already finished our first phase of emergency relief. We are going onto the second phase, the rebuilding stage”. The top three generals are yet to make any public statement on the crisis. The regime has an established tactic in dealing with Western pressure by slowly offering minor, cosmetic concessions and waiting until international attention wanes. “It’s completely transparent what they are doing with this trip,” said the diplomat. 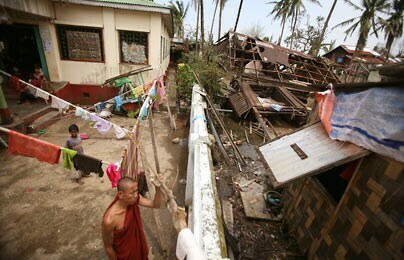 Survivors of the Burma cyclone are being forced into government camps amid fears they will be used as forced labour. 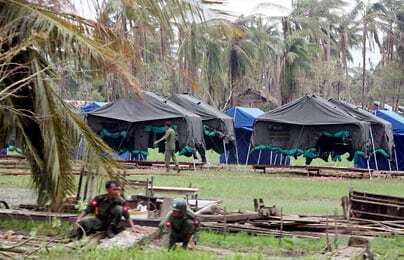 The ruling military junta has forcibly relocated tens of thousands of survivors from the Irrawaddy delta following the devastation of Cyclone Nargis on May 2. Many who had sought shelter in Buddhist monasteries – the centre of unrest during protests against the junta last year – are also being moved into government camps. Ko Hla Min, a 35-year-old farmer who lost nine relatives in the storm, said that those rounded up by soldiers around the devastated town of Bogalay were being used as forced labour. “They have to break stones at the construction sites. They are paid $1 per day but are not provided with any food,” he said. Meanwhile, a senior UN official told The Daily Telegraph that he feared other survivors will shortly be moved back to the delta and used by the junta to plant the next rice crop in the coming weeks. About 80,000 people had sought sanctuary in schools and temples in the delta town of Labutta, which was left in ruins after the cyclone struck nearly two weeks ago, they said. Now, only about 20,000 remain in their care at 50 monasteries in Labutta, after the military moved them to camps. With an official toll of 66,000 dead or missing and another two million in dire need of emergency aid, the government again rejected calls to accept foreign relief workers needed to quickly deliver food, water, shelter and medicine. 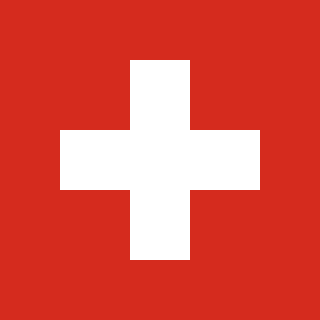 The Red Cross estimates the real death toll to be closer to 128,000. Foreign Office minister Lord Malloch-Brown yesterday the most senior members of Burma’s military government of turning a “deaf ear” to the plight of their subjects. Prime Minister Gordon Brown said that the United Nations was to organise an emergency summit in Asia to discuss the disaster. The reports came as the Burmese regime announced an overwhelming endorsement of its new constitution in the referendum held last weekend. State radio claimed that 92.4 per cent of voters in a 99 per cent turn out voted “yes”, although rights groups and dissidents earlier reported a low turnout and extensive irregularities. At some polling stations officials voted “yes” on behalf of anyone who had not appeared by 1pm. Campaigning against the constitution was punishable with jail. A western diplomat in Rangoon told the Daily Telegraph that only one small fraction of the army was initially devoted to relief efforts in the area devastated by cyclone Nargis, while the regime concentrated its resources on conducting the referendum. Their only concession to the storm was to postpone voting in the effected areas until May 24. The supposedly democratic charter is widely dismissed as a smoke screen for prolonged military rule. Many of those are still without adequate food, shelter and drinking water two weeks later. Reports of cholora are beginning to spread by word of mouth. In an attempt to hide the burgeoning humanitarian catastrophe from the outside world even Burmese people are no longer allowed to enter the Irrawaddy Delta area, which is ringed by road blocks. Foreign aid workers are banned and foreign journalists posing as tourists have been unable to enter since the beginning of the week. The military insists that it will distribute the international aid trickling into Rangoon airport, although some of it has already appeared in Rangoon markets. Myanmar’s military government said Thursday its cyclone relief effort was moving along swiftly even as foreign powers warned of starvation and disease among up to 2.5 million people left destitute by the storm. The European Union’s top aid official met government ministers and urged them to allow in foreign aid workers and essential equipment to prevent more deaths. But his trip did not yield any breakthroughs. 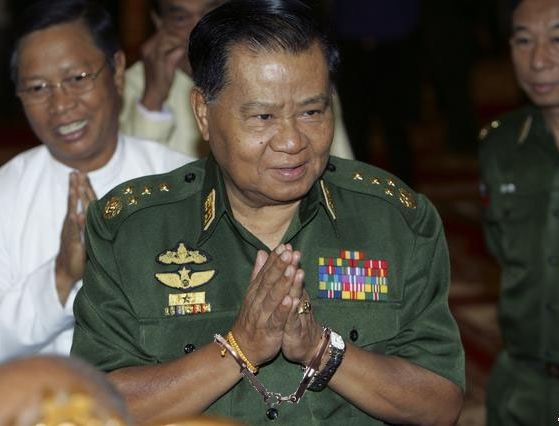 Earlier, Myanmar’s generals signalled they would not budge. “We have already finished our first phase of emergency relief. We are going onto the second phase, the rebuilding stage,” state television quoted Prime Minister Thein Sein as telling his Thai counterpart. Nearly two weeks after Cyclone Nargis tore through the heavily populated Irrawaddy delta — leaving up to 128,000 people dead — supplies of food, medicine and temporary shelter have been sent in dribs and drabs. In Bogalay, a Delta town where 10,000 people are thought to have died, people complained of forced labour and low supplies of food at state-run refugee centres. “They have to break stones at the construction sites. They are paid K1,000 ($1) per day but are not provided any food,” said Ko Hla Min, who lost nine family members in the storm. In Bogalay relief materials were being held in storage waiting for distribution and government officials sold tin-sheets for roofs at $5 apiece, far above the budget of most. Along the river rotting corpses remain near where villagers fish, wash and bathe. The United Nations has said more than half a million people may now be sheltering in temporary settlements. The UN estimates of the number of people in urgent need at 2.5 million, and called for a high-level donors’ conference to deal with the crisis.